Ooh la la! It may not be dressed yet, but this SHEIKE store in Toowoomba is already looking fabulous! We recently delivered this metal fabrication project in conjunction with One68 Pty Ltd. 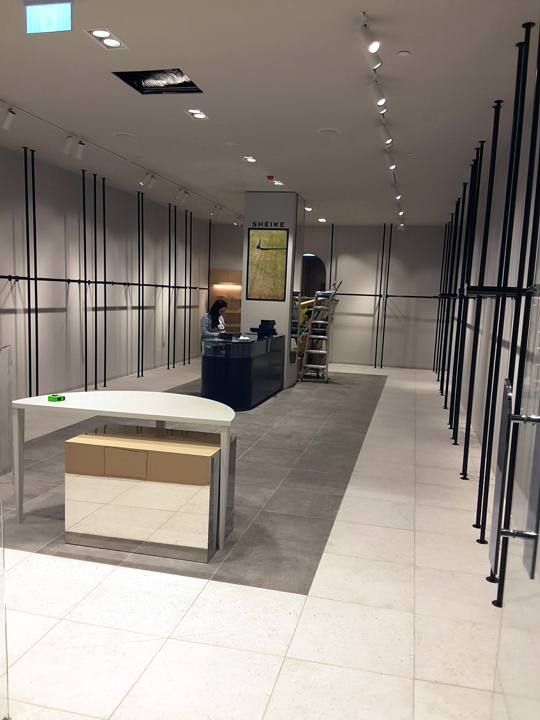 The walls are lined with metal tubes and straight arms, while fitting rooms feature mirror polished door handles, custom hooks, belt holders, mirror frames and doorway arches. We also supplied feature polished mirror stainless skirts to columns, the counter and plinth bases.